Metal casting may be one of the oldest manufacturing methods used to create metal parts, but it is also yet another sector that can benefit from 3D printing. With the high costs involved in producing tooling aids like moulds, cores and patterns, 3D printing is already proving to be a worthwhile alternative to the conventional production of tooling for metal casting processes. Foundries are therefore increasingly adopting 3D printing into their workflows as a means of remaining competitive. High costs: Creating casting tools can be incredibly expensive. This means that for small and medium production runs, high tooling costs often cannot easily be amortised. Labour-intensive: Since tools are typically produced manually, the labour-intensive process can easily result in long lead times of up to several months. 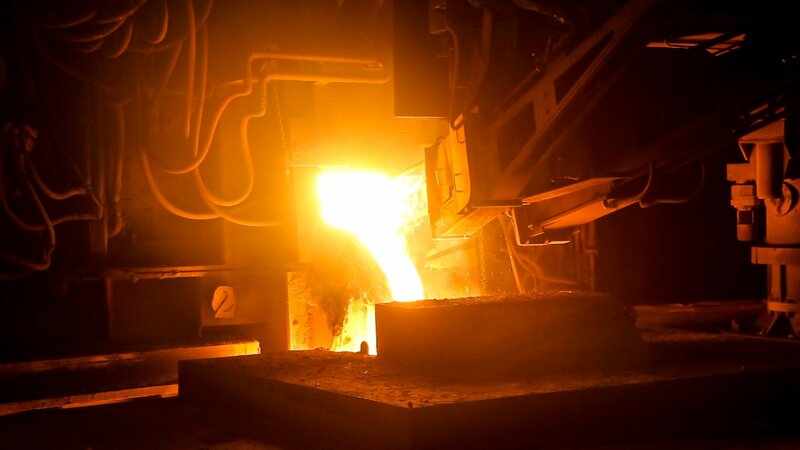 To overcome these challenges and maintain a competitive edge, foundries must look for innovative ways to produce tooling for metal casting — which is where 3D printing comes into play. 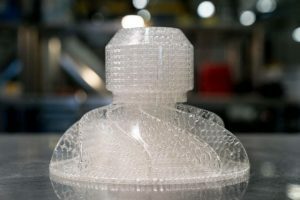 While 3D printing will by no means signal the end of traditional foundry methods, the technology can help to bypass the costly and time-consuming aspects of creating patterns, cores and moulds, enabling greater flexibility and cost-effectiveness for low-volume, highly complex castings and prototypes. Dating back to the 19th century, die casting refers to the process of pouring molten metals under high pressure into mould cavities to produce metal parts. One of the key challenges of die-casting is the design of cooling channels, which are used to prevent the overheating of the die and control the solidification process of the casting. With conventional production methods, these channels are usually machined in straight lines, which results in a slower and non-uniform cooling process. As a result, the tool can become deformed and its service life will be significantly reduced. Additionally, the partly deficient heat dissipation leads to long cooling times for the manufactured products. However, these limitations do not apply to 3D printing. With metal 3D printing techniques like DMLS or SLM, toolmakers can integrate cooling channels of any complexity into the design of a die. Investment casting uses expendable wax patterns and ceramic shells to create complex and detailed part designs. Traditionally, these patterns are injection moulded. However, the cost of injection moulds can range from $3,000 to $30,00, with lead times from one to four weeks. This makes creating a mould economically unviable for small series production or one-off products. For this reason, foundry and pattern-making companies can choose to 3D print patterns in a material suited for investment casting. For example, Stereolithography can be used to create patterns using a UV laser that cures thin layers of resin. Many 3D printer manufacturers have developed 3D printable materials specifically for casting, including wax, castable resins, and some thermoplastics, based on PLA and ABS. These materials are typically used with Stereolithography (resins) and FDM (plastics) technologies, creating highly accurate patterns with excellent burnout characteristics. 3D printing. Typically, a sand casting process involves creating an object from molten metal using sand as mould. The mould cavities are created by hand-packing sand around a design pattern. The casting design often requires cores to be placed into the mould to create the interior contours of the casting. 3D printing can simplify this process by creating sand moulds and cores directly from CAD files, bypassing the pattern- and core-making steps. Just like 3D printing patterns for investment casting, 3D printing sand moulds and cores is a toolless, automated process. This means that the tool and labour costs which drive up the prices for metal casting are eliminated. Sand moulds and cores are typically 3D printed using Binder Jetting technology, which works by selectively depositing a binder agent to glue sand, layer by layer. In this way, 3D printing offers a quick and efficient method for low volume production. Currently, Binder Jetting systems for sand 3D printing can reach large volumes of up to 4,000 x 2,000 x 1,000 mm, producing large-scale sand cores and moulds. In addition, 3D-printed sand casting moulds are strong enough to withstand the harsh environment of metal casting. While directly 3D printing metal tools like dies is still in its infancy, 3D printed investment casting patterns and sand cores and moulds are already widely used and gaining greater traction. 3D printed investment casting patterns, for example, are increasingly used to create customised jewellery with intricate designs and personalised dental products and experience shorter lead times. In one example, Canadian jewellery company Vowsmith — which specialises in customised rings — was able to cut its production and delivery times by 50% by integrating 3D Systems’ wax 3D printers into its workflow. In a single print, the company produced between 35 and 40 personalised ring patterns, ready for casting. When it comes to sand casting, more and more companies in the foundry sector are installing sand 3D printers to save money on tooling for small batch production runs and achieve faster lead times. For example, Hazleton Casting Company is using a robotic sand 3D printing system in addition to its traditional foundry operations to produce custom, geometrically complex sand cores and moulds on demand. For complex core designs, 3D printing allows cost savings up to 50% by forgoing tooling production. Earlier this year, Danko Arlington, a foundry specialising in patternmaking and sand casting, invested in a large sand 3D printing system, used primarily to replace legacy tooling, which is difficult and expensive to procure, by directly 3D printing sand cores and moulds. 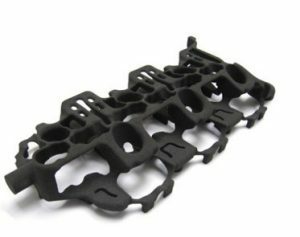 Another example is US-based Prospect Foundry which has chosen sand 3D printing for the challenging task of creating complex hydraulic valve cores. In the past when the complexity of cores prohibited production, the foundry had to turn down the jobs like this. However, with 3D printing, the company was able not only to fulfil the order but also achieved a very low scrap rate. Contrary to the belief that 3D printing can replace casting processes, it is more realistic to see it as a powerful addition to existing methods, ranging from die casting to investment casting and sand casting. The advantages are clear – no need for CNC milling or other tooling which can increase costs. 3D printing is ideal for highly complex, low-volume casting jobs, facilitating greater design freedom and cost-effectiveness in pattern and mould production. With that said, it’s important to note that while 3D printing is not the answer to every casting tooling problem, it does enable challenging tasks to be undertaken that would not have been possible before. With 3D printing – and particularly metal 3D printing – facing rapid growth, it’s vital that foundries continue to modernise with 3D printing. This will help to overcome the limitations of existing methods and to remain competitive in the ever-changing manufacturing landscape.